It's not any Friday – it's the Black Friday – and parents are lining up for the newest toys and gadgets to gift their kids come Christmas morning. If you are a dog parent, however, take heart in the fact that you don’t have to get in line for those deals and you can shop the best deals from home. Those looking for the best Black Friday dog beds deals will find something useful here. Most of the Black Friday deals, discounts and sales have already dropped and it doesn't appear that any new ones are coming our way (we keep checking though). The below picks are the best deals on dog beds that we have seen so far. Why dedicate a whole page to Black Friday dog beds deals? Because for most of us dog owners, good quality dog beds are an essential item that sadly costs too much. And what makes a better holiday pet gift than a brand new bed? Not only could your pet use one, but there are probably a few other pups on your list that would enjoy a snuggly new pet bed. We've done the legwork for you and found the best Black Friday dog deals from tons of different online retailers. No matter what style you're looking for, you're sure to find it here. Just remember to pick a pet bed that is the right size for your dog, and read reviews from pet owners to see if most dogs find it to be a comfortable place to sleep. Note that some of these dog beds deals are already active and available, while others have only been announced and will be discounted closer either later or have already lost their Black Friday sale deal. I will mention which deals are about to go live, and which ones are already active. This Thursday and Friday, Amazon has been releasing new deals on pet supplies every hour. There are deals that stay for several hours but the best ones are the daily deals page. The below are the best Black Friday dog beds deals and discounts we found. The best deal on dog beds so far on Amazon, this very popular bed from MidWest is currently more than half off. You can pick it in seven different sizes and three different colors. Considering its price, this is a very good looking dog bed that fits home decor. There's a non-slip grip on the bottom of the bed to use on hardwood floors and it is made of ultra-soft synthetic fur and then overstuffed. Another option from MidWest, this is even more popular among pet owners and even cheaper. While it's not as luxurious as the above option, this is one of the better choices among Black Friday dog beds deals. It's a very simple and cheap bolster dog bed, perfect for dog crates. There are several colors and sizes for every dog, and it's currently priced half its usual cost. This is a new dog supplies manufacturer and their new type of dog bed that has a luxurious look to it yet isn't overly expensive in general. Now with a 38 percent discount it's more affordable though the bed has its faults. It is, however, made of higher quality durable Oxford fabric to prevent dog hair sticking on; it's water-repellent and generally easy to clean. This is a new offering from Amazon themselves. AmazonBasics, despite being in-house manufacturer, actually has a great reputation for quality products, including furniture. Now this is one of the better Black Friday dog beds deals out there, even if the discount isn't the largest. This pet bed has ergonomic foam interior for cushioning comfort, and provides joint support to help alleviates pressure points for better sleep. While not a dog bed, this is something you might want to consider instead of a pet bed and utilize with your couch. This is a very luxurious looking micro-suede fabric cover with stain-resistant treatment that will fit any home decor and most couches. It's waterproof and easy to clean. For strong chewers or if you're looking for an elevated bed for warmer months, this is one of the cheapest options out there. It's a pretty popular off-the-ground design dog bed among pet owners, where its suspended platform provides added comfort by creating low-impact areas to pressure points and joints. Another simple non-skid option among these Black Friday dog beds deals, this one is slightly more expensive than MidWest's bolster bed but also better looking. In general, dogs seem to love the simplicity of these beds more. This one also will fit any dog crate since it's easily adjustable, and it provides more comfort than simple dog crate mats. Here is another choice from AmazonBasics, and this one while with a smaller discount is a cheaper dog bed in general and better-reviewed by pet owners. A standard yet decent looking design round pet bed which will make for a cozy place for your pup. It has plush flannel top surface for more softness and a polyester canvas sides, bottom for strength. FurHaven is currently the most popular choice among best Black Friday dog beds deals going on right now, according to statistics, even though it's not even the largest discount. However, the bed itself is very well-known and one of the most “wishlisted” among pet owners on Amazon. It looks good, fits with home decor, provides joint support and soothes dogs' pressure points for deeper and better sleep. Last on the list of Amazon's best Black Friday dog beds deals is yet another AmazonBasics option with the smallest discount but very well-reviewed by dog owners. This elevated dog bed may not be what you're looking for to use in winter but it's a perfect choice for hot summer days. It's also made of breathable mesh fabric that helps keep your pup cool by allowing even more air to flow. * Don't have an Amazon Prime membership but would like to get the best early access deals anyway? Try it for FREE with a 30-day trial. Chewy.com has expanded way beyond just good dog food prices and they current have some decent Black Friday dog beds deals going on. However, they keep switching prices throughout the day and the ones mentioned below may not be valid anymore. You can find all Chewy deals on this Black Friday page and double-check if the below are valid. Frisco Steel-Framed Elevated Pet Bed gives your dog the perfect rest he’s earned after a long walk, a day of play or just quality time with the family. The FurHaven NAP Ultra Plush Deluxe Memory Foam Dog Bed gives your pup an ultra-comfortable bed that he might just love more than yours. Curling up for a quick nap or a long night’s rest has never felt better when your sleepy pet has the FurHaven Quilted Orthopedic Sofa Dog Bed. Curling up for a quick nap or a long night’s rest has never felt better when your sleepy pet has the FurHaven Plush & Suede Orthopedic Sofa Dog Bed. Whether your pup has been naughty or nice this year, PetCo has a bed to fit the bill. Red on one side and black on the other, you can flip back and forth depending on the day to tell Santa how naughty or nice your pup has been! If you’re a Star Wars fan…or even just a fan of Chewbacca, then this deal is for you! A box bed, this is also available in a Darth Vader theme if Chewy isn’t your fav! With plenty of beds to choose from in this Black Friday deal, you will find something for every pup! From bolster beds to cup beds to cuddlers, they’ll have it all on sale! Not ideal as a standalone bed, this bed is perfect for keeping car seats and living room furniture clean of dog hair. This bed comes in tan, red, and blue. Supportive and festive, this bed is worth far more than the $20 you’ll find it for on Black Friday so get in line early! For just $5 you can get a larger version of the orthopedic bed noted above. Again, it’s not great as a standalone bed but works for surface protection. If houndstooth is the print for you, then pick this one up, just don’t depend on it for the only bed your pup will need since it’s not too supportive. Animal Planet pet beds are making their rounds this Black Friday and BonTon is joining in on the trend. Don’t panic if you don’t manage to snag this one at BonTon, you’ll find it at plenty of other stores for around the same price. Belk won’t have all that much selection when it comes to dog beds on sale.But if you happen to be there shopping anyway, this microsuede bed is a decent option for your smaller pup. Another bed that works as an additional layer of padding, this isn’t a bed that should standalone but is still worth grabbing for $10 as a crate liner. Bealls has a fairly diverse selection of dog beds that are already competitively priced and their prints are much lighter than most commercial dog beds. Bolster beds can be expensive, so if you have a leaner who loves bolster beds then don’t miss this deal, $10 is a STEAL. Fred Meyer will be offering a 50% discount on all of their beds in addition to their bolster bed deal listed above. Their selection isn’t huge, but the prices make it worth snagging a bed if you’re there anyway. Corner pet beds aren’t easy to come by, especially not at this price. If you have a large small dog or a small-medium sized dog, then this bed is a deal you won’t want to miss. A nice BIG bed, this gusseted pet bed is another great deal from Academy Sports and one worth dropping by the store to snag even if you’re not shopping for other items. Not the best bed in terms of padding and support, this is still a deal worth getting in on since it comes with a toy and a blanket as well. Use the bed to protect the couch surface and gift the toy and blanket! When it comes to quality pet beds, Serta is a name you can trust. This is one of the better deals on dog beds this Black Friday so if you’re only looking for a dog bed, go to Big Lots first! AKC pet beds are fairly good quality beds (although we prefer Serta for the money), so if you find that the Serta beds on sale are still too pricey or they’re out of stock, check these out too. We’re not a fan of his training techniques, but 25% off any dog bed is a deal worth looking into. This isn’t our top pick, in fact, it’s the last pick from this store, but you will still be getting a fantastic deal! This is a 25” x 20” bed and isn’t big enough for big dogs, but the 5” thickness makes it a great deal for smaller dogs in need of additional support. Realtree beds are a great option for dogs in need of more joint support and they are always highly reviewed. If you can snag this oversized bed this Black Friday, you’re getting one of the best deals available. This dog bed isn’t the best quality bed you’ll find this Black Friday and even though it’s reduced to $25, this is the one “deal” that we don’t think is worth heading out for. The dog bed selection at Farm and Home supply is not as large as you might expect, but the beds they do carry are worth checking out (especially at 30% off). Measuring around 3” thick, this “orthopedic” bed doesn’t strike us as being all that supportive. That said, for $5 it will make the perfect crate pad! These medium-sized pet beds are available in a range of patterns and colors and again, they make for great “add on’s” but we don’t recommend them for standalone beds. Like most pet stores, Pet Supplies Plus has a decent selection of quality dog beds to choose from. As long as you show up with your store card in hand you will get a great deal on any bed you pick up here on Black Friday. The selection of dog beds at Walgreens is slim and the quality isn’t all that great. Because of this, we recommend skipping the Walgreens dog beds and going straight to one of the other store locations listed. This is the same bed being offered by multiple stores this Black Friday, so if you look elsewhere and they’re out of stock, try Carson’s instead. The John Bartlett pet beds on sale at Carson’s are the same beds you will find on sale at Bon Ton. This bed is machine washable and weighs around 3lbs. You can choose from blue, grey, or brown. This bed is currently sold out online at Kohls, but we expect that inventory will be replenished before Black Friday rolls around! Made from an egg crate pad, this orthopedic dog bed gives additional support to older dogs who will benefit from the additional padding! A great deal, this bed features a non-slip base and is thick enough to provide support for even the largest dogs. It even has a handle for easy movement when you need to reposition your pup! Great for larger medium-sized breeds or smaller large breeds, this 40” long bed is 4 ½ lb. and worth snagging for extra support. It may not look like anything special when looking at it, but this thick and supportive dog bed is definitely worth investing $9.99 if only to lay it on top of an existing bed! This cup-shaped bed is really soft and perfect for the dog who likes to snuggle in to feel safe at bedtime. This bed will be available in grey and grey and blue and weighs 2.38lbs. On Black Friday Petsmart will open at 7 am and they will be offering the below deals on their pet beds. 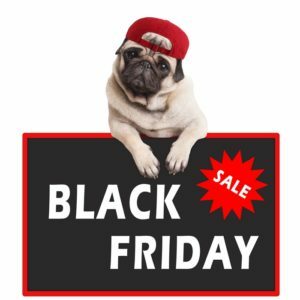 They also currently have a Pre-Black Friday Sale for dog beds and many other pet supplies. 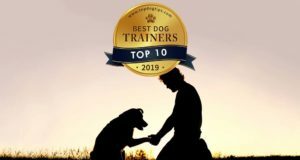 Top Paw dog beds range widely in the types of beds available so you will find orthopedic, cuddler, bolster, and memory foam beds all for 20% off. PetSmart has an extended Black Friday sale with discounts up to 50% on pet beds as well as other dog supplies. The sale ends on November 25th midnight. A wide selection of beds in the largest size available, this is a deal not to be missed for big dog owners who are tired of paying an arm and a leg for dog beds! Kong products are high quality but usually come with a crazy price tag so grab this deal while they’re in stock. Usable as a crate pad and a regular lounger dog bed, you will regret missing out on this one. If your dog is a cuddler, you can also take advantage of the Grreat Choice sale prices on 22” and 36” cuddler beds suitable for large small and small-medium sized dogs. Ellen Degeneres has a pretty good selection of beds available at Petsmart, so no matter what type of bed you’re looking for, chances are, you’ll find it in her collection. Previous articleWhat Causes Dogs to Pant Excessively?